Pink Antlers is a shop located in Leawood, KS, among an adorable row of upscale shops and restaurants. 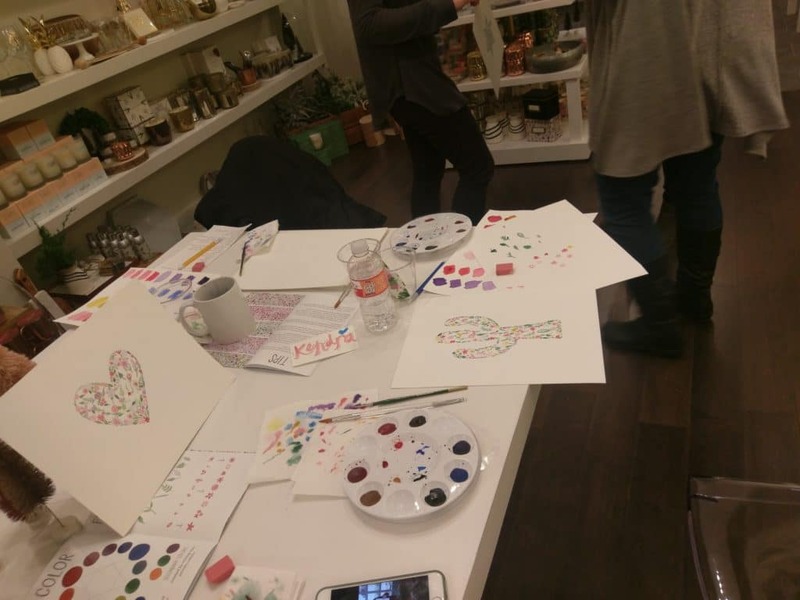 It has decor, artwork by local artists, and they offer classes. My class was taught by Carly Rae from Carly Rae Studios. Her Etsy shop is Be Wild and Free. Visit her Etsy shop by clicking here. The space was perfect. It was a beautiful atmosphere to take a class like that. 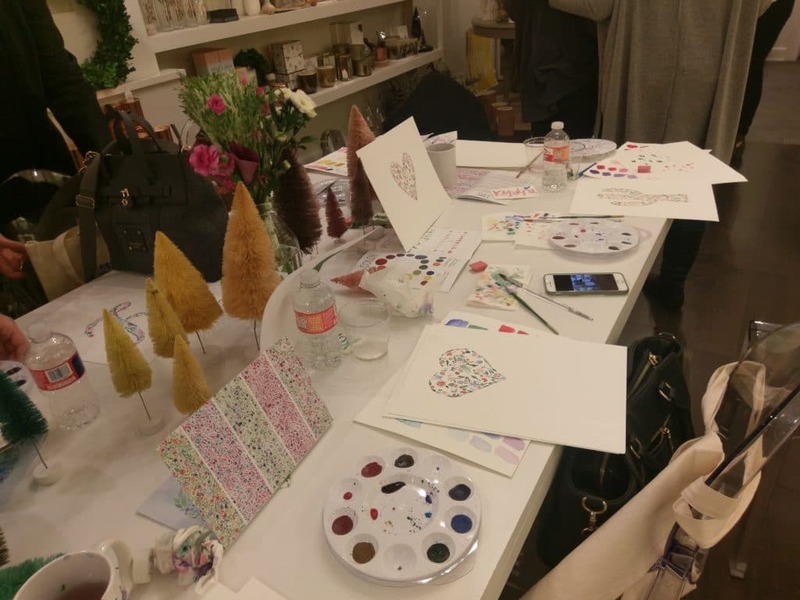 The store was filled to the brim with art and cute home decor. They had a long table set up in the middle of the store for the class. 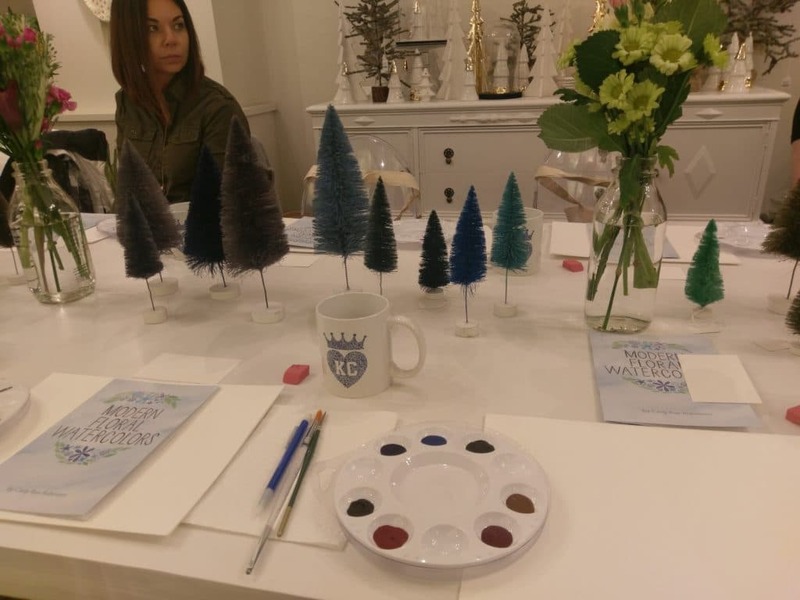 It was adorned with vibrant holiday trees and all the supplies that we would need for the class. We started by learning how to make shades of the same color. How much water you add can make the paint lighter or darker. We then traced a shape, whichever shape we wanted to ultimately use as our base for our watercolor picture. I picked a puppy paw, since I love dogs. 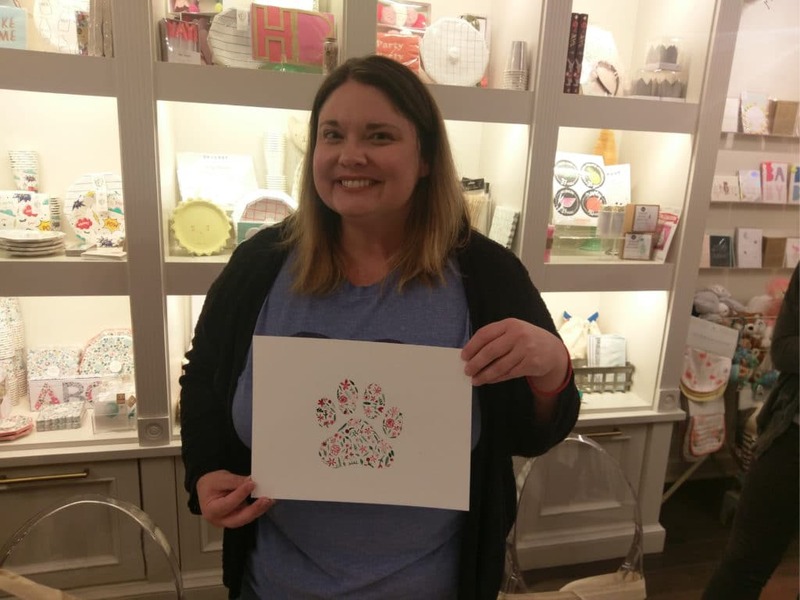 We then practiced drawing the flowers and leaves and eventually filled the puppy paw with these elements. Here is how it turned out. I’m pretty proud and excited! My workspace prior to class starting. The table was so pretty! We got to keep the KC heart mug that you see in this picture. And here is what some of the other people taking the class created. If you look closely you will see a heart picture that someone in the class created. 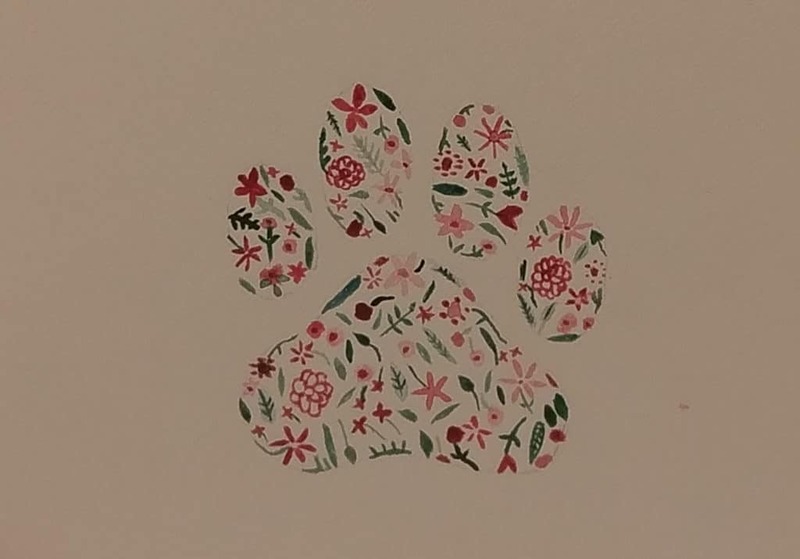 Here is a picture of my watercolor puppy paw zoomed in so you can see the detail. In this picture you can see the heart from the previous picture and a cactus. Everyone's turned out great! Interested in trying this project? Here are the supplies that I am using now that I have taken the class. All are available on Amazon.